Forex calculators are a necessary and extremely helpful set of tools to help traders manage their risk. The Forex markets are a challenging and volatile asset class and must be approached with the required caution and dedication needed to be successful. Therefore, we must be aware of how much money we want to risk on each trade on a percentage basis, and how much leverage we are going to use given the amount we have on margin. The percentage risk per trade needs to be relatively small to ensure that we are not risking too much of our account on any one trade. We need to look at the potential profit and loss of the trade; where the target price is and where the stop loss is, in relation to our entry point. In addition, it is important to keep in mind that currency pairs can have different pip values, based on whether the FX pair is quoted in terms of US dollars, or whether the FX pair is quoted in terms of a non-USD foreign currency. Before you start trading, you need to decide on the amount of funds you will finance your account with. These considerations go beyond the scope of this article, and will be a personal matter for each trader to decide on. But always keep in mind, that you should only invest with money that you can afford to lose. For example, if you want to trade at least 3 different FX pairs at 1 lot per pair, using a leverage of 10 to 1, how much margin would you need? 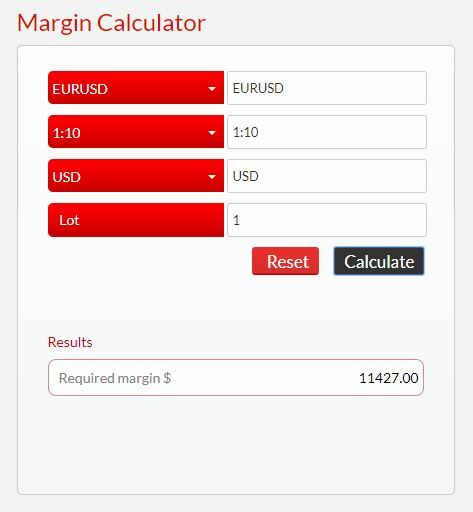 There is a handy forex margin calculator tool available at XM.com which allows you to calculate margin needed to trade a given FX pair, leverage and lot size. The picture below shows a screenshot of the margin calculator. Let’s say one of the FX pairs you are going to trade is the EURUSD, which is the first item at the top of the picture. Then the next item is leverage, in this case, 1:10, followed by account currency, USD, and lot size, 1. When you click on calculate for the above data, you get a margin requirement of $11,427.00. This amount is larger than what would initially come to mind based on a 10:1 leverage. The number that some traders would come up with in their heads would be $10,000. The difference comes from the lot units being quoted in Euros, which are worth more than $1. So, each lot size of €100,000 is equal to $114,270. Repeating the process for another two currency pairs, for example, GBPUSD and USDJPY would give margin requirements of $13,022 and $10,000 respectively. Adding the three results together gives a total margin size of $34,449 to trade these 3 currency pairs, 1 lot each, with a leverage of 10 to 1. To calculate margin needed given the leverage is a simple calculation even when the currency pair is quoted in foreign currency terms; as in the case of USDJPY then Margin = Lot Size ÷ Leverage. An example, where leverage is 1:10, lot size = 1, then Margin = 100,000 ÷ 10 = 10,000 in US dollars. When the currency pair is quoted in terms of US dollar, there is an additional calculation required to bring the margin requirement into terms of US dollar, and that is the exchange rate (FX). In this case; Margin = (Lot Size ÷ Leverage) * FX. The example in the image above is calculated as follows; Margin = (100,000 ÷ 10) * 1.1427 = 11,427 in US dollars. We now need to determine how much we want to risk per trade given that we are going to trade 1 lot based on our example above. A disciplined FX trader will always enter a trade with a stop loss and read the risk exposure in pips to determine the feasibility of the trade. We need to know how many pips our stop loss allows, as this determines if we have enough room to trade our strategy based on our preferred lot size. The stop loss calculator below allows you to calculate the stoploss in pips. The calculation is made given the FX pair, lot size, percentage of margin to be risked per trade, margin size and account currency. Continuing with the above example then, for a EURUSD trade, using a 1 lot size, risking 2.5% of margin, the maximum stoploss would be equal to 29 pips. This process would need to be repeated for the other two currency pairs, GBPUSD and USDJPY to determine the stoploss size for each. 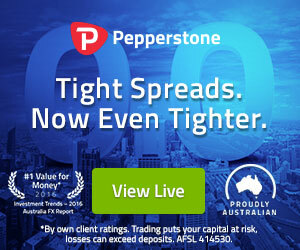 For currency pairs quoted in terms of US dollars, the stoploss calculator takes the percentage amount at risk (Percentage), the lot size, and the margin amount to calculate the pip size. For a currency pair quoted in terms of US dollars such as EURUSD the equation would be; Stoploss(pips) = (Margin * Percentage) ÷ Lot Size. Continuing with the above example, Stoploss (pips) = (11,427 * 2.5%) ÷ 100,000 = 0.000286, or rounding up, 29 pips. For currency pairs quoted in terms of foreign currency the above result would need to be multiplied by the exchange rate (FX) it follows then calculated as: Stoploss (foreign pips) = (Margin * Percentage) ÷ Lot Size * FX. An example using USDJPY as the target currency pair shows that: Stoploss (foreign pips) = (11,427 * 2.5%) * 112.50 = 32 yen pips. You may also be the type of trader that, sometimes, trades one currency pair at a time, using the margin to cover that particular trade. You can use a lot size calculator to maximize the lot size you can trade for a particular currency pair with the given margin size. The picture below shows how you can utilize a lot size calculator. Let’s say for this trade you are looking to put on one position that fully uses the margin size available. The first field is the currency pair, in this case, EURUSD. The second field is the number of pips equal to the stoploss size, 29 pips. We calculated this in the previous step for EURUSD stoploss calculator. The third field is the percentage you are willing to risk per trade; we can presume it is still 2.5%. The fourth field is the margin size; we calculated that the margin size would be $34,449 for the 3 FX pairs, so we can use that as an example. The result from the lot size calculator shows that the maximum lot size maintaining 29 pips stoploss, and 2.5% maximum risk amount equals 2.97 lots for a margin size of $33,449. The Forex position size calculator uses pip amount (stoploss), percentage at risk and the margin to determine the maximum lot size. When the currency pair is quoted in terms of US dollars the equation is as follows; Lot Size = ((Margin * Percentage) ÷ Pip Amount) ÷ 100k. Using the example in the picture above for EURUSD; Lot Size = ((34,449 * 2.5%) ÷ 0.0029) ÷ 100,000 = 2.97 lots. When the target currency pair is quoted in terms of foreign currency, we need to adjust for the pips being quoted in the foreign currency and multiply the above formula by the exchange rate. Using USDJPY as the target pair, we saw earlier that 29 pips in US dollar terms are represented by 32 yen pips. The lot size for USJPY would be calculated as follows; Lot Size = ((34,449 * 2.5%) ÷ 0.32) ÷ 100,000 = 3.03 lots. Most traders will look at the profitability ratio of a trade before they execute a position. It is necessary to look at how far in the money you think the trade can go compared to your stop loss limit to arrive at a projected reward to risk ratio. Of course, if the currency pair is quoted in US dollar terms, like EURUSD or GBPUSD, then it is straightforward to calculate the profit or loss of a trade given the number of pips. For example, 50 pips of either of these two currency pairs using 1 lot equals $500. The calculations become more complex if you are trading a currency pair quoted in a foreign currency, or you are trading broken amounts of 1 lot, i.e. 0.3 or 0.7 lots. Calculating profit and loss of a long/buy position is achieved by subtracting the entry price from the target profit price to determine the number of pips. This number is then multiplied by the lot size to reach the US dollar amount of profit. To calculate the loss on a short/sell position you subtract entry price from the stoploss price, creating a negative number of pips, which when multiplied by the lot size gives rise to a negative dollar amount. When the currency pair is quoted in US dollar terms the equation is; P/L = (Target Profit Price – Entry Price) * Lot Size. To find the profit a EURUSD trade with an entry price at 1.1425 and a target profit of 1.1485, the equation would be = (1.1485 – 1.1425) * 100,000 = 600 dollars. Another tool that is very useful when calculating profit and loss is available at FxPro. This tool is useful when you already know the target profit and the stoploss, and you want to calculate what those two limits translate into in terms of price. Let’s say you are looking at trading USDJPY in 1 lot, with a profit target of $700 and a stoploss of $400. From the picture below, we can see that using all of the above parameters, and considering the position would be to buy, or go long USDJPY, we get the stoploss at 111.9624 and the profit target at 113.1988. Further down the page, you will also find a calculator that allows you to start from the price levels of stoploss and target profit, in the case you want to arrive to the money values of stoploss and target profit starting from price levels. To calculate the target profit price on a long/buy position, for currency pairs quoted in US dollar terms, we use the entry price, target profit amount, and lot size. For currency pairs quoted in US dollar terms we get; Target Profit Price = (Target Profit Amount ÷ Lot Size) + Entry Price. Looking at a possible EURUSD trade of 1 lot, with $700 as the profit target amount and entry price at 1.1425, the profit target price = (700 ÷ 100,000) + 1.1425 = 1.1495. To calculate the stoploss price of the above USDJPY long/buy example we need to subtract the stoploss amount expressed in yen pips from the entry price, giving; Stoploss Price = (Entry Price – ((Stoploss Amount * FX) ÷ Lot Size). Substituting the numbers above gives; Stoploss Price = (112.412 – ((400 * 112.412) ÷ 100,000) = 111.9624. Calculating the pip value is also valuable while you monitor your trades. As price moves X number of pips, it will allow you to give a dollar value to that move. For example, 500 pips of USDMXN are considerably less in value than say 500 pips of USDJPY. With the USDMXN exchange rate at 18.000, 500 pips (0.500 peso) of Mexican peso would be worth $2.78, while 500 pips of yen (5.00 yen) would be worth $4.44, with the exchange rate at 112.50 for USDJPY. The FxPro website mentioned earlier also has a pip calculator. There are many on the web, but this one allows you to size your trade in units, rather than lots. 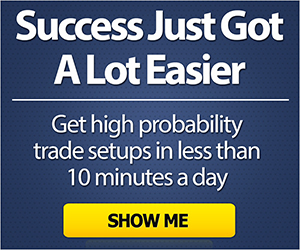 That is, it allows you to specify the actual amount of your trade, for example, $1,500 of USDJPY or £2,500 of GBPUSD. For a general look at how pip value changes with each currency pair, MyFxBook has a pip value calculator that lists most major and minor FX pairs on one table, with the value of a pip per 1 full lot, mini lot and micro lot. It also includes the actual pip value, which then needs to be multiplied by the number of units to arrive at how much the pip value is worth for your actual trade. As noted earlier, calculating the US dollar value of a pip is straight forward when the FX pair is quoted in terms of US dollars. In EURUSD and GBPUSD, for example, 1 pip is equal to 0.0001 of price. While in USDJPY 1 pip is 0.01 of price. To reach the pip value of a position, it follows the formula Pip Value = Lot Size * 1 pip. In the case of EURUSD a position of €25,000 would have a pip value of 25,000 * .0001 = $2.5. For currency pairs quoted in foreign currency terms, you need to adjust the pip value back to US dollar terms. A position in USDJPY of $50,000 would have a pip value of 50,000 * .01 = 500 yen, then dividing by the exchange rate, say 112.50, would give $4.4 of pip value for the position. As we have seen, there are various types of Forex risk calculators. Each one provides us valuable information about the risk components around our trade. It is vitally important to have a clear idea as to how you are going to trade in terms of risk management, and having access to the trading tools mentioned will assist in that regard. Even though these calculations can be done by hand and are fairly straight forward, these calculators make everything so much easier, faster and more likely to be accurate. When you’re trading and want to know something quickly, the last thing you need to be doing is searching for the formula to arrive at a particular calculation. It is necessary to define and incorporate various risk related parameters into your trading plan. You should know what size trading account you will need, how much you want to risk per trade, how often you intend to trade, the amount you are going to dedicate as margin, and the average reward to risk ratio you will target.